GoAnimate is a new site where you can create your own animations. Even if you can not draw a lick. So if you ever wanted to be an animator, here is your chance. Very user friendly program with features being added all the time. You can even bring in your own images, paste photos of yourself or family members/friends in your animations. GoAnimate has features for tailoring any animation to your liking. Your end product can be distributed anywhere on the web (except YouTube for the moment but they are working on it). If you have a website or blog you can add your animation to your site. They have a contest going on where you can win $5,000. Here is the link to how it works. Now GoAnimate and if you do let us know so we can link to it. Video Slide Show Your Home For Free! In the process of selling your home in this tight market and need an edge? Here is a free service that you should look into. Add another feature to your listing by working in a little video slideshow for potential buyers. PropertyPreviews is a free service that automates the process of creating such video clips without need for any software downloads. Just upload your images, include any relevant information, and the service will do the rest. 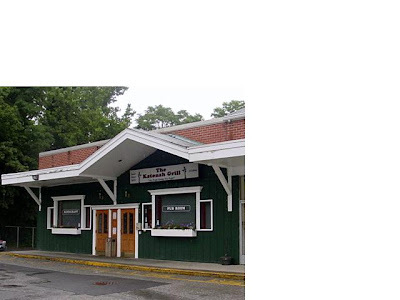 Katonah Bar and Grill this year was denied a cabaret license renewal after complaints about noise and other disturbances. It has sued to the State Supreme Court that the Town of Bedford with relying on spotty evidence and failing to the give the business a fair hearing on its application. The lawsuits ask the court to grant the license and to rule that Bedford's cabaret license is unconstitutional because the Town Board Decided both the initial application and the appeal. decision on whether to grant the license. The Town Attorney argues that it is up to the Town Board not the Town Clerk to decide whether granting a license would affect the public. Some patrons of Katonah Grill don't agree and some compromise should be made; do not play above a certain volume or to play only on certain nights. There are a large number of police incidents report that were presented to the Town Board. The attorney for the Town Joel Sachs cites that the record would show that the last several years, Katonah Grill was put on notice that there were issues there and they needed to take corrective action. Attorney Sachs also point out that the town's cabaret law provides a "full and fair" hearing for applicants, noting that the Town Board can change its mind on appeal if evidence shows that's warrant. In Doug Crossett's view the greater issue is it (the denial of a cabaret license) denies local musicians a place to play and the local people a place to hear live music. Search on Cabaret License to bring up Section 44 of the Town of Bedford Code covering Cabaret license. Should the Katonah Grill be granted a cabaret license? --see side bar and take the poll.